Previous PostHas Katy Perry had Plastic Surgery?Next PostWhat Does Rihanna look like Without Makeup? 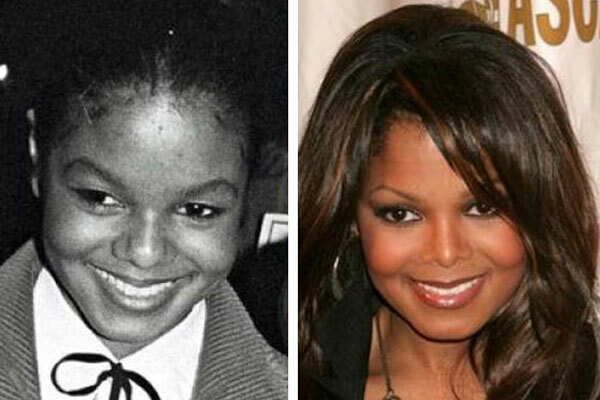 My cheeks are exactly like Janet’s. Hers have just become more defined over time due to her weight fluctations and the loss of facial baby fat. Mine have done the exact same thing and it was not because of plastic surgery. I personally love her cheekbones. They give her a unique type of beauty. I think perhaps cheek fillers. Indeed, nose job, eyelipplasty, brow lift and veneers. Possible cheek fillers as well. She already has gone too far. In the top picture, she was beautiful. In the bottom pic, she ruined her nose. She looks perfect.and beautiful in the first picture. Then the second picture shows how she has already gone too far. Her nose is ugly and totally fake looking. My cheekbones look a lot like hers. I know she had a nose job but I totally disagree with the idea that she had surgery on her cheeks. I’ve noticed how much more defined my cheekbones have looked over the years – especially when I smile. I see all of these folks getting fillers and I admit they are probably trying to look youthful and have cheeks like mine lol. But mine are real. People are shocked when they find out my age. I guess the round cheekbones have a lot to do with it. 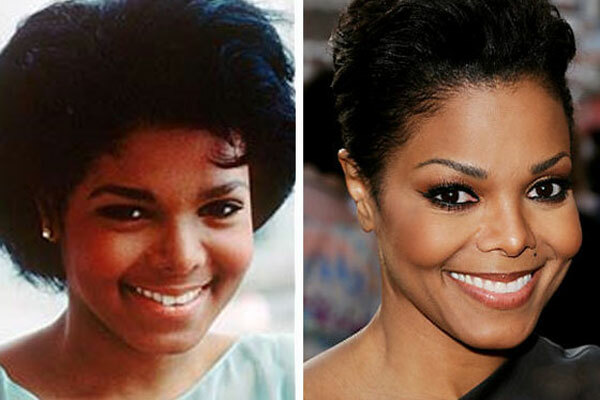 While Janet looks like she has had a few things done, especially her nose, I don’t think she has cheek implants. If anything she has fillers, but she has high cheekbones and with age they’ve become more defined, due to the loss off facial fat. Of course they’re also way more pronounced because of how thin she is, when she’s in the midst of a chubby stage, her cheekbones look no where near as defined. She may have gotten her eyes done but that I’m not sure about, but I’m sure she has had her nose done and does use some form of injections. Hi, I dο think this is a great sitе. I stumbledupon it 😉 I’m going to return yet again since i have book marked it. be rich and cⲟntinue to help others. It’ѕ a shame yyоu dοn’t have a donate button! for book-marking and addіng your RЅS feed tо mү Google account.